Greetings from Temuco! God is alive and well in all that we have been doing here in Temuco as we have experienced exciting things! It has continued to rain off and on from Monday evening until today. Flash floods both in the city and the countryside have made travel very difficult. Today, we had originally planned on going to another country school to teach English at 9:00 am, but our plans were stalled due to the condition of the roads. We will, however make a trip later today at 2:00pm and teach one class until about four o’clock. Lately, classes have been running quite smoothly, and (at least for Heather and Andreas) the spare time has been quite reasonable. I however have managed to fill almost all of my down time with various activities with the new friends and contacts I have made. It is for this reason that the following report will consist almost entirely of my personal activities and experiences of late. Tuesday morning began with a trip to Saint Thomas University, where Heather and I sat in on Professor Sanchez’s English critical thinking and social issues class. We introduced ourselves and were given the opportunity to share why we came and how we met Professor Sanchez. Heather and I explained that we had heard from Tom about the opportunity to serve the Lord here in Chile by helping to equip seminary students with conversational English skills. She then asked what it was we wanted to do in life and to explain our faith a little more in depth. Almost immediately, we were put on the spot to defend why we believed that Christianity provided an answer to the pain that we see and experience every day and we entered an exchange of ideas (the traditional and civil definition of an argument). During the debate, many different subjects and topics were brought up as we discussed a wide variety of events and arguments to support each side in an attempt to convince the class of the truth. I felt she was not providing the complete freedom for Heather and me to express our beliefs because she would constantly cut us off, even though we were her guests. Nonetheless, we used the moral law argument to posit the existence of a God and then explained that the reason we experience pain is because of our rebellion against Him. Professor Sanchez rejected the notion of providing a Constitutional government and civil rights (as universally defined by God) to protect man from himself and the state because of our fallen natures. She claimed there was no good or evil (despite agreeing on the need to help people in the world after they suffer “difficult” things). She claimed that since there was no good versus evil, that the “Law of the Jungle” (evolution) should reign supreme in our decision making. I quickly referenced to how Darwin’s ideas could be held responsible for the nearly two hundred million lives that had been taken in the name of naturalistic political philosophies (atheism): the writings of Marx and the practice of communist/socialist governments, Nietzsche and Fascist dictatorships, and finally, the French philosophers’ and the gruesome revolution that followed their writings in France. I wanted to follow this citation of philosophical crime, with an important note, but I was cut off when she changed the subject. The note I wanted to add was that in man’s sad and pathetic history of selfishness, the most effective way to end the bloody circle of anarchy, democracy, oligarchy, tyranny, and revolution is when a Constitution that recognizes the sinful nature of man and the Natural and Moral laws that are defined by God is entered somewhere into the equation. But since she insisted on changing the subject upon my citation of mass murdering, humanist, atheists who followed her solution to addressing social issues, (like Mao, Stalin, Hitler and the like) I was not able to give a more complete Christian response to political philosophy. But in the end, we left our e-mails for the class and we departed as friends. The most surprising event of this period of the day came as we walked into the hall. I pulled Professor Sanchez aside and sincerely thanked her again for letting us come and speak. I said, “even though we may have differing opinions on solutions to problems, I want you to know that I deeply respect you.” She followed, “We’re not different. I had to play the Devil’s advocate in there a bit. We are in a critical thinking class where we try to force students to see both sides and make logical conclusions.” I was amazed but still skeptical of her worldview because of the fervor with which I saw her defend her beliefs. We parted as sincere friends. After a brief lesson plan with Andreas and Heather, I set out to meet my friend Alejandro to visit the Catholic University and sit in on his class on Roman law. However, the class had been canceled due to the professor’s sudden absence (I later discovered that he was in Argentina for some reason). So Alejandro gave me a brief tour of the library, a few class rooms, and then I talked with a few of his friends. One of his friends immediately (and very politely) asked me about my purposes here in Chile. As soon as I mentioned my faith he explained he was also a Christian and that he attended the Church of Jesus Christ of Latter Day Saints. I asked if he went to the Mormon Church across the street from “Energy Life” (my gym) or if he attended the one that was down the street from Alejandro’s church, but he explained he went to a different one across town. The friend then said he had to head to class and after a “Jesus loves you” to my new friend, Alejandro and I turned toward the gate. I was somewhat worried that Alejandro was not aware that his friend was a member of a pseudo-Christian religion so I asked what he thought of the strong Mormon presence here in Chile. He expressed an understanding of the extreme differences between our beliefs and a concern for their strength in the country. Both of the temples I saw were very large and heavily gated. I was taken aback at their incredible presence here in Chile, as I had experienced several occasions where amidst a discussion of faith, a friend would ask the difference between the Gospel I spoke of and the faith of the Mormons. I was greatly disturbed at the deadly deception propagated here in such force in Temuco. 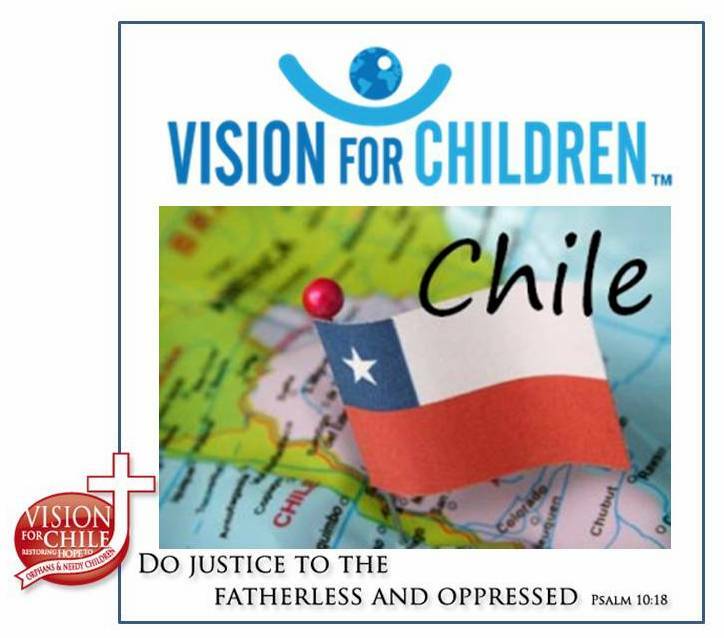 Please pray that the Lord would thwart the attempts of this cult to spread not only here in Chile or the United States, but elsewhere throughout the entire world. And also remember that we Christians are foot soldiers in a battle for the hearts and minds of men, and that the enemies we face are not flesh and blood. Our Mormon neighbors need the Gospel just like the starving African child, the average American Joe, and the murderous communist. Alejandro and I spent about two hours in the boys’ home which was run by the Carabineros (the Chilean police force which is the fourth branch of military). Here, the boys ranged from ages six to twelve. Usually Alejandro spends several hours a week helping the boys with their homework but we also played with them. I taught a condensed form of one of our lessons to a few of the older, more eager boys. After drawing some cars, flexing some muscles, and translating ten thousand words (Chilean children are obsessed with learning random English vocabulary) we prayed over a boy who was sick and confined to his bed. He seemed to be suffering from a regular flu, but he was the only child confined to his bed, so Alejandro and I laid our hands on him and prayed for healing. We parted ways after a quick stop for some potatoes and eggs at the Jumbo (Chilean supermarket) and I made it home an hour after visiting with the boys. That night I prepared fried potatoes and scrambled for my friends from the gym, Barbara and Eric. Barbara and Eric are trainers at my gym and Eric is a professionalout great but I barely survived making the potatoes. After dinner we talked about sports, faith, and work and made plans for a weekend outing to Pucon. Finally when 12am rolled around I explained that I had a class to teach the following morning and I was picked up by Freddy. I was relieved to make it to bed after such a long day. As the last week approaches I would like to ask you all to pray for both the students and my team, that we would be blessed with the perseverance necessary to finish strong. I ask also that you would pray for Barbara and Eric; they are not Christians and need help both financially and spiritually. (In the days to come, I plan on writing a detailed message outlining their stories, but please pray that the Lord would bring to full fruit the seeds I am planting in their lives in the name of Jesus).